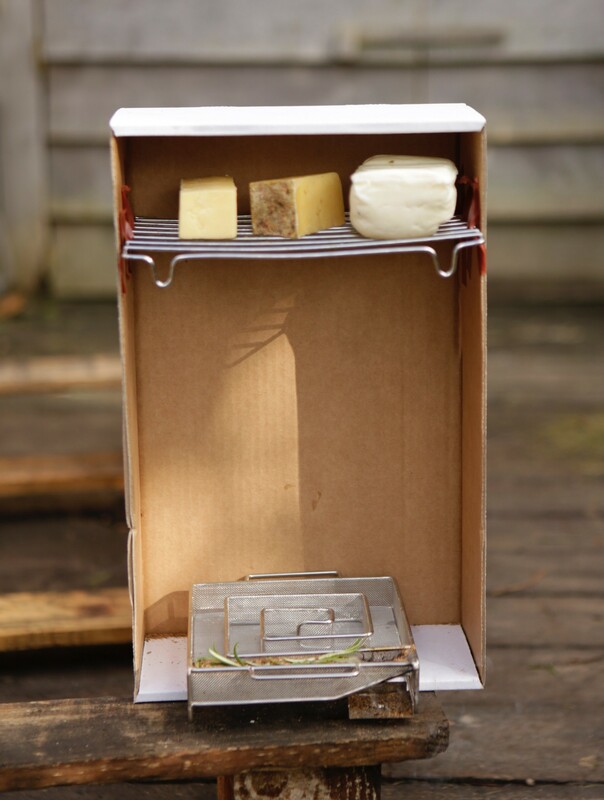 We used an old box to create the smokery and simply taped a cooling rack into the top of it. The spiral was given to us by a friend, along with a few bags of wood-smoke options – beech, maple and oak. Decisions, decisions… we went for the oak. 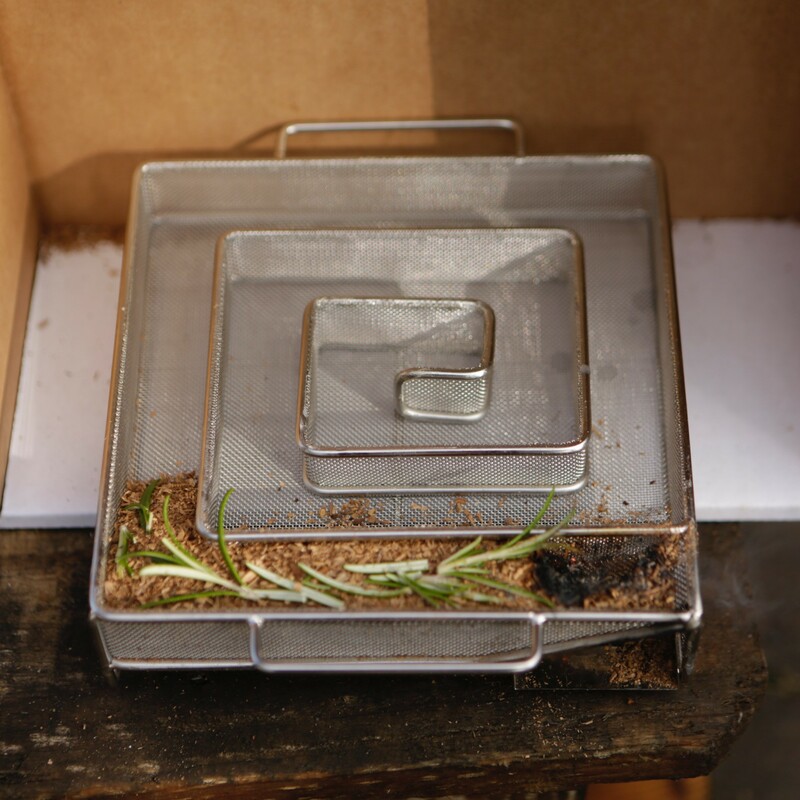 We laid a short trail of oak ‘dust’ in the smoking spiral (with some rosemary from the garden) and placed this in the bottom of the box. 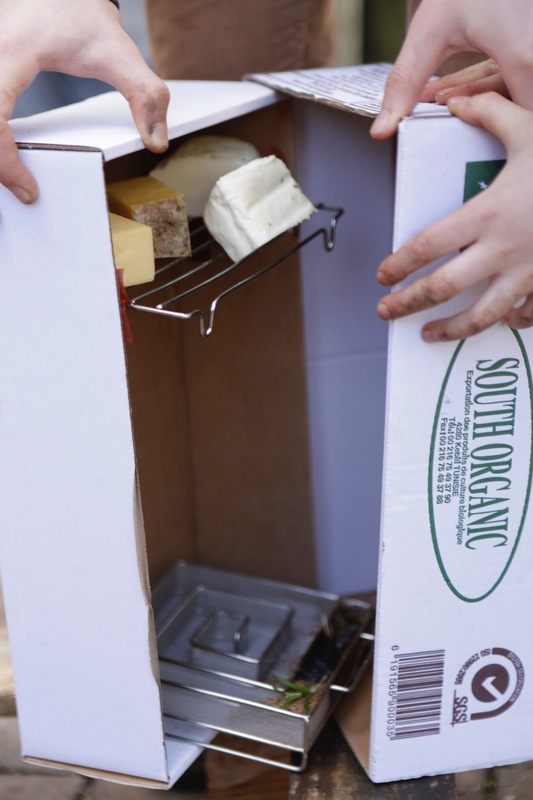 Cheese only needs 1-2 hours, so a short ‘fuse’ was just right. Then we cut a small vent in the front of the box, checked the oak was smouldering nicely, closed it up and waited! We got on with the rest of our day while the smoke-box quietly did its own thing (no peeking!) and 2 hours later, hey presto, beautifully smoked, naturally oak-flavoured cheese. It tasted absolutely amazing… perfect on crackers or grated on chilli con carne! So what can we smoke next? I’m thinking salmon.